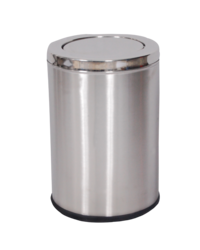 Ash Can Bin : 8"
Ash Can Bin : 8"*28"
Full Stainless steel Airport Trash can with Partition. Our clients can avail from us wide range of Ash Can that is used in luxurious hotels, restaurants and smoking zones of big companies. These are procured from authentic vendors and are known for trendy look and abrasion resistance. 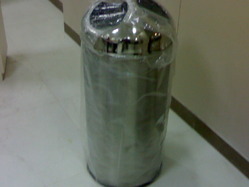 Further, these ash cans are highly appreciated by the national and international clients for their high end features. We provide SS Ash and Trash Can in a variety of shapes and sizes to our esteemed clients.